Enjoying your lunch yet? I had Spicy Fried Bee Hoon for lunch and it was great!! I still had some spare time so I think I'm gonna write a short review. It's about a CC Cream that I think is somewhat similar with Banila Co. it Radiant CC Cream but with a more affordable price. I'll make a comparison soon when I write the Banila CC Cream review because I'm still out of town for work and didn't bring the Banila one. 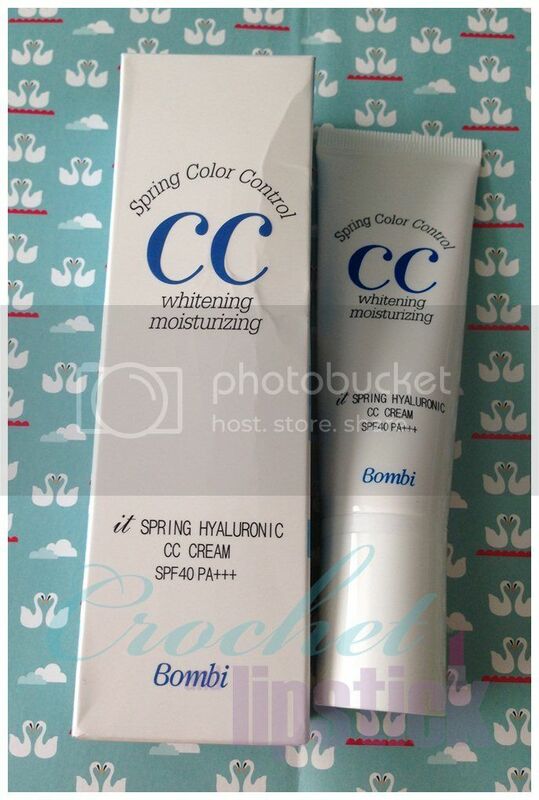 Bombi cosmetic’s ‘It Spring Hyaluronic CC cream,’ is the new concept multi base with three functions, including whitening, wrinkle treatment, and UV rays. 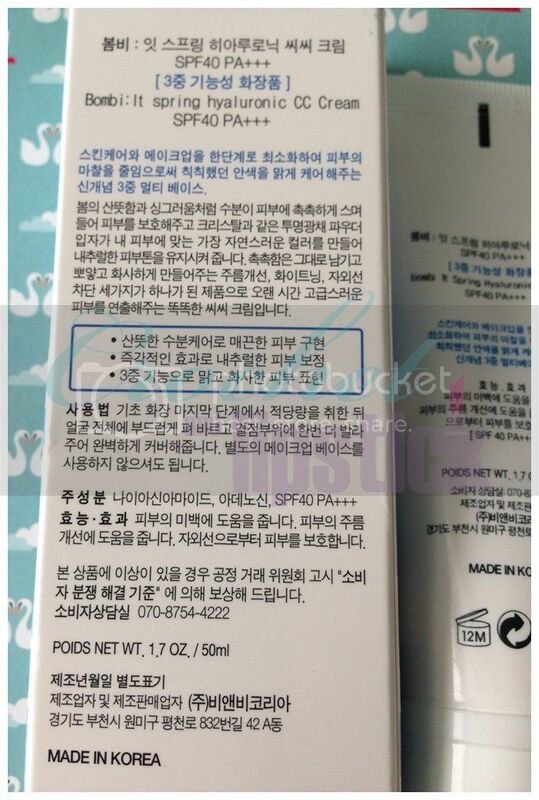 By increasing the moisturizing effect, the product flaunts its highly moisturizing functions. Even more, Adenosine ingredients inside provides the wrinkle treatment and cell reproduction effect. ‘It Spring Hyaluronic CC cream’ intensifies the skin care functions, helping to present the clear and transparent skin makeup. Just click for bigger picture cos I'm too lazy to type it all down >.<!. The packaging is quite simple. 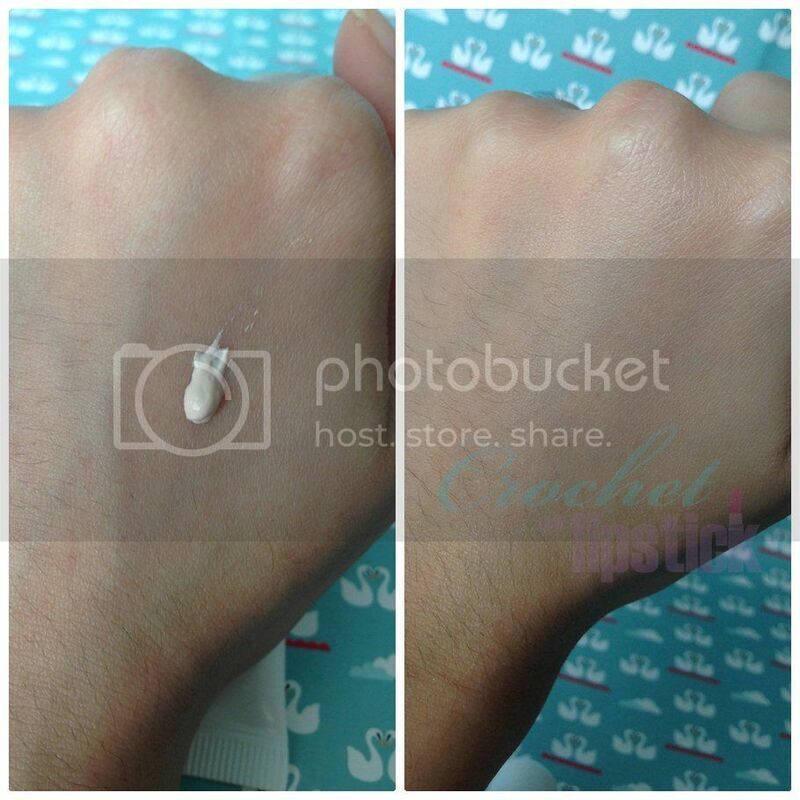 It's like a tube with pump cap and it's similar with the other CC Cream that I have like Banila and Etude House. So far this one has the biggest amount of CC Cream inside a product (50ml). The texture is lighter than Etude House CC Cream and like other CC Cream it has a brightening effect but I think it's just enough and didn't make my face looks weird. 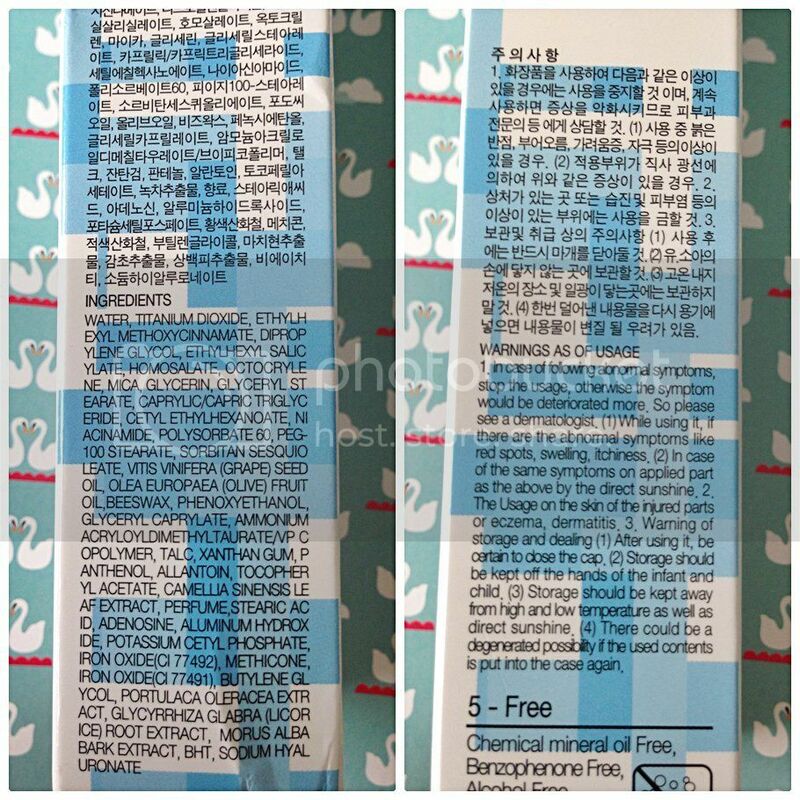 It absorbs quite after a while and if set it too fast with powder my powder application gonna be blotchy and if I use BB Cream afterwards too fast it won't set nicely too. I usually apply body lotion while waiting for the CC Cream to absorbs. 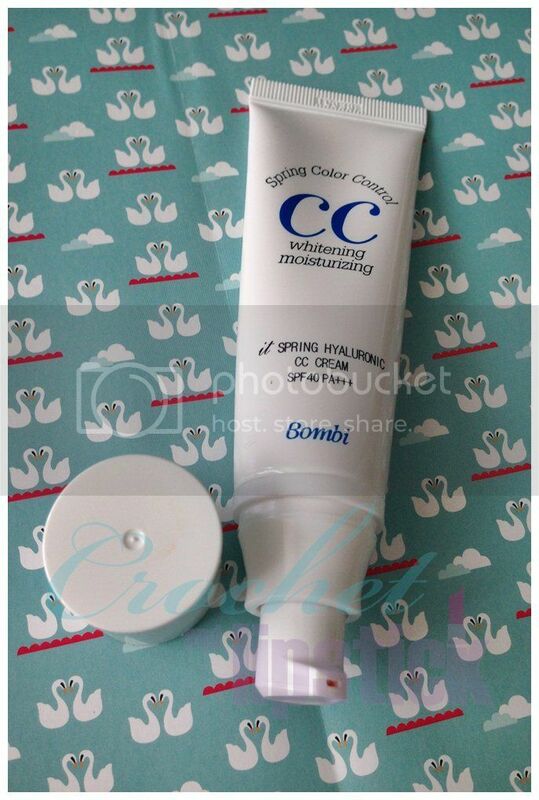 This CC Cream is quite moisturizing so I can skip moisturizer and since it has a high SPF content I can skip sunblock. So even though I have to wait for the CC Cream to absorbs I still save a lot of time by skipping moisturizer and sunblock. For a natural look I usually skip BB Cream/Foundie too and only use loose powder afterwards and for blusher I mix a dot of CC Cream with Lipstick or Lip Tint for a natural blushing cheek. As for the whitening and anti-aging properties I haven't recognize any but maybe I have to keep using it regularly too have more effect although for me any anti aging benefits from a product is definitely a plus! !